The current boundaries of West Lafayette's "riverfront district" extend as far as 3,000 feet away from lots abutting the Wabash River. West Lafayette already has five such restaurants, but wants to extend the use of the riverfront provision into other areas of the city. Mayor John Dennis says it’d have an impact on safety. “If there’s more establishments, there’s less crowding, there’s less potential for fights; less potential for harm and danger. And there’s more opportunities for control,” Dennis says. But city Development Director Erik Carlson says he hopes the city council will approve restrictions on when the businesses may operate, in case they want to operate primarily as bars and not as restaurants. 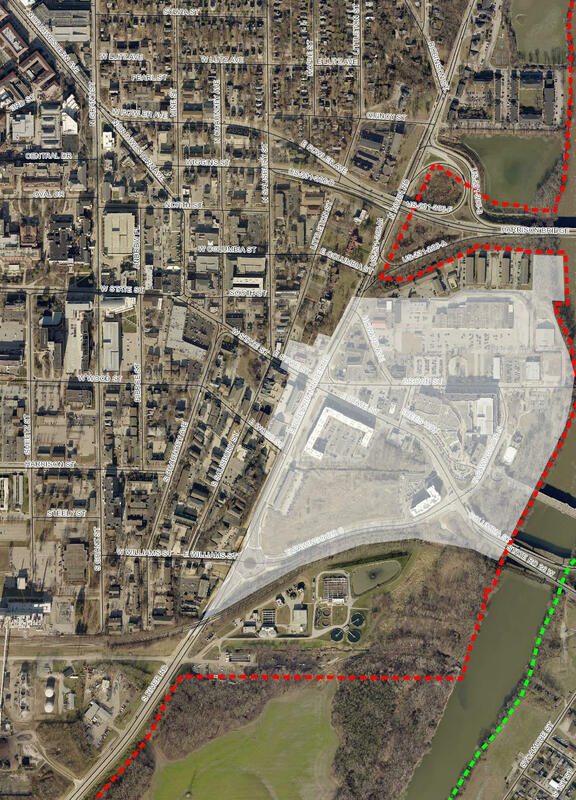 Carlson says in West Lafayette, the riverfront district extends west as far as 3,000 feet from the first usable lots along the Wabash River – including up Chauncey Hill, where it might apply to retail space inside several high-rise apartment buildings slated for completion in the next few years.